FDPIR Food Package Review Work Group Meets in Alexandria! On December 8 and 9, 2015, members from the Food Distribution Program on Indian Reservations (FDPIR) Food Package Review Work Group traveled to Alexandria, Virginia, to meet at the USDA Food and Nutrition Service (FNS) National Office. The annual two-day meeting brought together stakeholders who provided expertise on Native American nutrition and health issues, participant food preferences, and the Federal procurement and delivery process for USDA Foods. Deputy Under Secretary Katie Wilson kicked off the meeting with introductions and an opportunity for members of the work group to ask questions, share their concerns, and communicate their ideas. The morning session continued with remarks from Deputy Administrator for Supplemental Nutrition and Safety Programs Diane Kriviski, policy and funding updates, an overview of projects related to FDPIR systems re-design, and news about upcoming research studies. In the afternoon, work group members attended a presentation from the USDA Center for Nutrition Policy and Promotion (CNPP) to learn more about nutrition resources available, including MyPlate/MiPlato and the SuperTracker. Members also received a presentation from the Agricultural Marketing Service (AMS) focused on the USDA vendor application process. A key goal of the FDPIR Food Package Review Work Group is to review the foods offered and make improvements to the food package to better meet nutritional needs of program participants. As part of this effort, members had the opportunity to sample a variety of products for consideration including beef stew with three varying sodium levels, whole grain tortillas, and whole grain shredded wheat. On the second day of the meeting, members spent the day identifying foods that they would like to add to the food package and priorities for cultural foods. The group will meet again via conference call in February to begin implementing these priorities. The FDPIR Food Package Review Work Group was formed in 2002 and is comprised of officials from the National Association of Food Distribution Programs on Indian Reservations (NAFDPIR), representatives from the Indian Tribal Organizations (ITOs) and State agencies that administer FDPIR, Federal and Tribal health professionals, commodity procurement specialists from USDA, and FNS Regional and National Office staff that work with FDPIR. Minutes of the work group meetings are available here. USDA staff met with NAFDPIR President Joe Van Alstine in November to discuss plans for Automated Inventory System (AIS) development that will impact all FDPIR participating organizations. USDA recognizes an urgent need to replace and enhance the current AIS to modernize the software, address current deficiencies, and improve the user experience. USDA staff and Mr. Van Alstine also discussed establishing an AIS committee within NAFDPIR that would facilitate collaboration between ITOs and USDA during the development of the new AIS application. The purpose of these visits was to gain a better understanding of the various food package distribution methods used by ITOs to support their FDPIR clients as well as understand how the current AIS application is used in the operations and management of FDPIR at their locations. During this trip, several distribution methods were observed and/or discussed: a warehouse “store” concept, warehouse picking and packing, “tailgate” (mobile inventory), and home delivery. USDA staff also met with the operations director and staff at each location to discuss the strengths and shortfalls of the current AIS application. These observations as well as feedback and ongoing collaboration with ITOs will guide future development for AIS. USDA staff would like to coordinate additional site visits with other ITOs to further understand their needs regarding AIS. Questions about the AIS development project or site visits may be directed to Linda Munday at 703-305-2686 or linda.munday@fns.usda.gov. USDA purchased blue cornmeal for the first time in late 2015. Sometimes called the "Southwestern Beauty," blue corn has evolved from Central American ancestry and is often found in the southwestern part of the United States. Blue corn surpasses yellow or white corn in several nutritional categories and yields a different texture when used in recipes. A New Mexico State University Cooperative Extension Service evaluation of eight blue corn varieties discovered that all eight varieties contained more zinc than yellow or white corn, and seven of the eight contained more iron. Another evaluation conducted by the same organization found higher levels of an essential amino acid in all five varieties of blue corn tested, compared with yellow and white corn, rendering the blue corn a more complete protein. Moreover, blue corn has a coarser consistency when ground and thus creates denser tortillas possessing a sweeter, nuttier taste. We are happy to share the two recipes below with our FDPIR recipients, courtesy of the Acoma Food Distribution Program in New Mexico. Enjoy! Preheat a griddle on the stove top. 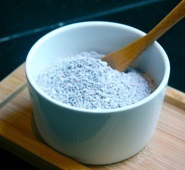 Mix blue cornmeal and bakery mix together in a large bowl. Add water to mixture and stir to form a batter (should look like pancake batter – slightly lumpy). Lightly grease the preheated griddle. Pour approximately ¼ cup of batter (depending on the size of pancake that you prefer) onto the lightly greased hot griddle. Flip pancake after the edge is slightly dry. The pancake should be a golden brown. Allow the other side of the pancake to cook for a minute before removing from the griddle. Bring the 4 cups of water to a slow boil; using a wire whisk, add the blue cornmeal to the boiling water. Pour into a cup and add salt or sugar for desired taste. USDA and the Department of Health and Human Services have released the much-anticipated 2015-2020 Dietary Guidelines for Americans! "The Dietary Guidelines for Americans is one of many important tools that help to support a healthier next generation of Americans," said Secretary of Agriculture Tom Vilsack. "The latest edition of the Dietary Guidelines provides individuals with the flexibility to make healthy food choices that are right for them and their families and take advantage of the diversity of products available, thanks to America's farmers and ranchers." On January 14, 2016, USDA staff hosted a webinar covering OMB’s Uniform Guidance and how new or revised provisions impact FDPIR. Over 60 attendees from FDPIR administering agencies and FNS Regional Offices joined the web session to learn more about changes in financial management, procurement methods, costs principles, and audit management under the new guidance. A webcast recording of the presentation will be made available for on-demand viewing. In honor of Native American Heritage Month in November, the FNCS Nutrition Council* hosted a webinar on nutrition education initiatives in tribal communities, featuring the University of New Mexico CHILE Plus program, Chickasaw Nation Nutrition Programs, and Let's Move! in Indian Country. Joy Standridge, Deputy Director of Nutrition Services at the Chickasaw Nation, shared helpful resources including the Get Fresh! recipe collection promoting healthy eating and cooking, Eagle Adventure youth diabetes prevention program and books developed in collaboration with the Oklahoma State University Department of Nutritional Sciences, and the Not Our Destiny diabetes social marketing campaign. Watch the recording of the Nutrition Council webinar! *The Food, Nutrition and Consumer Services’ (FNCS) Nutrition Council consists of approximately 21 members representing each of the FNS program areas and the Center for Nutrition Policy and Promotion. The Council offers expert advice and perspective on nutrition policy, nutrition science, and nutrition education related to FNS programs. FDPNE Grants: Request for Applications Released! On February 1, 2016, USDA released the annual Request for Applications (RFA) for nutrition education projects conducted by ITOs who operate FDPIR. USDA expects to award funding totaling approximately $1 million for Food Distribution Program Nutrition Education (FDPNE) projects. The RFA and the mandatory forms may be viewed and downloaded from the Grants.gov site at USDA-FNS-FDD-FDPNE-FY16. Notification of the release of the RFA was sent to FNS Regional Office staff, along with a copy of the RFA for distribution to ITOs and State Distributing Agencies that are eligible to apply. Applications must be submitted at the Grants.gov site and are due by March 15, 2016. View the FY16 FDPNE grant opportunity here! USDA staff have begun an assessment project to explore the nutrition education paraprofessional training needs of FDPIR local agency staff. In general, nutrition paraprofessionals are persons who do not have formal nutrition education, training, or licensure obtained from a college or university. The type of training they receive and types of services they provide vary depending on the organization that trains them. For FDPIR, USDA would like to explore the potential to offer targeted nutrition training, conducted by a Registered Dietitian, that prepares a staff person to provide basic nutrition information that will encourage participants to adopt healthy eating habits. This assessment project offers FDPIR local agency staff the opportunity to contribute valuable input regarding the need for such a project, the topics staff would like to learn about, and how the training should be delivered. USDA has received support and recommendations from NAFDPIR board members, USDA staff, and outside stakeholders while developing the components of the project. USDA has worked with the contractors conducting this assessment to develop and pilot test interview questions for FDPIR local program directors and staff and stakeholders who have an interest in nutrition education for the FDPIR community. In late 2016 or early 2017, the contractor will conduct telephone interviews with a small number of FDPIR local program directors and staff and stakeholders. The assessment report will help USDA understand the FDPIR community's interest and needs for nutrition paraprofessional training and inform potential next steps to develop training. Katie Rainwater, a FoodCorps Service Member, shares her remarkable experience at Cherokee Central Schools, a 2014 USDA Farm to School Grantee. In 2016, the FFAVORS ordering process for ITOs will receive an update to remove the hard stop when order activity reaches a funding limit. Currently, FFAVORS has a built-in checkpoint to prevent customers from exceeding the dollar amount listed as the fund balance because school customers must stay within their designated amount. Because ITO and National School Lunch Program (NSLP) customers use different values in the system, the checkpoint can be adjusted to affect NSLP customers only. 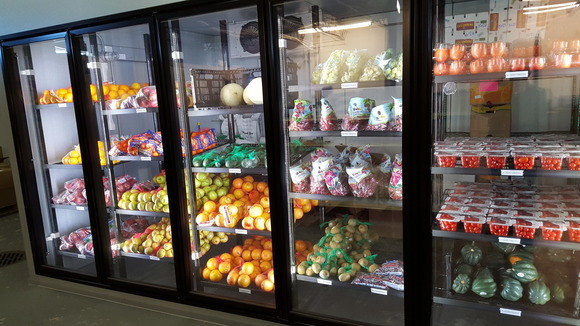 This will allow each ITO customer to order fresh produce to meet the needs of the FDPIR food package without any problems due to system features built to accommodate school customers. When the change is made, ITO customers will see a change to the Fund Balance area while ordering: Both the Starting Balance and Remaining Balance areas will reflect “N/A” to ensure no budget enforcement is to occur. ITO customers will continue to be able to monitor ordering activities through the Reports available in FFAVORS. If you have any questions regarding this change, you may contact your DoD Account Manager, DoD Field Rep, or the FFAVORS help desk at ffavors@fns.usda.gov. On Friday, December 11, 2015, a ribbon cutting ceremony was held for four new Choctaw Nation facilities in McAlester, Oklahoma. The facilities include a Community Center, Head Start, Food Distribution Center, and Wellness Center. Located on one campus, the new facilities provide an opportunity for “one-stop shopping” for many folks. This new campus is also conveniently located close to the Choctaw Nation McAlester Clinic. 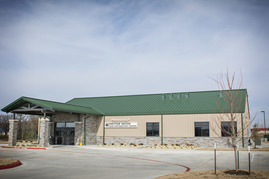 While FDPIR services have been available in McAlester for several years, the new facility is a welcomed improvement over the former site, and a source of pride for both McAlester FDPIR staff and participants. 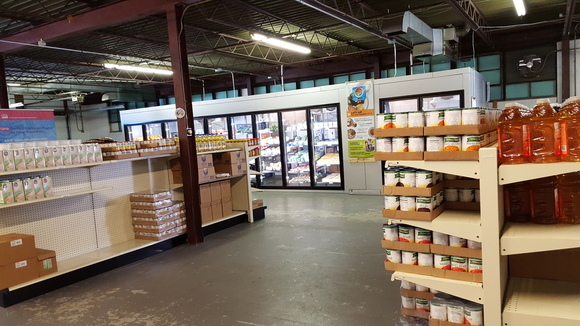 Encompassing 10 ½ counties in southeastern Oklahoma, the Choctaw Nation provides FDPIR services through four food markets located throughout their jurisdictional boundaries. This number will soon increase to five when a new facility in Broken Bow opens early in 2016; the permanent location's full-month services will replace the specific-day services presently provided by tailgates. 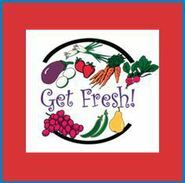 Presently the Choctaw Nation provides monthly food benefits to approximately 5,400 individuals. Bison is a deeper red color before cooking because there is no marbling (white flecks of fat within the meat muscle). 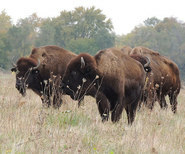 Bison is said to have a sweeter, richer flavor than beef and has less fat and fewer calories than beef. According to USDA's Agricultural Research Service, 100 grams of raw bison (separable lean only) contain 109 calories and 1.8 grams of fat. The same amount of raw beef (separable lean only, Choice grade) contains 291 calories and 24 grams of fat. USDA staff will be participating in this upcoming national meeting in 2016. We look forward to the opportunity to meet you and hope to see you there! 1. Go to the Food Distribution website.